Friens and Family Event Coupon. 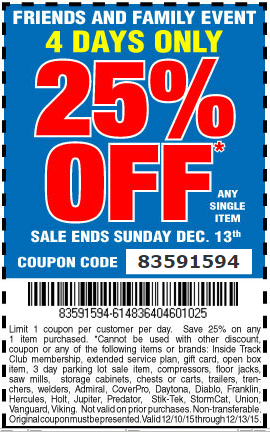 Save 25% on any 1 item purchased at Harbor Freight Stores or online. Some restrictions apply. Limit one coupon per person. 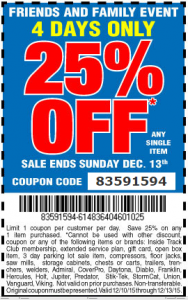 This is better than their normal 20% off coupon code. Harbor Freight is a great place to be cheap items for stocking stuffers.